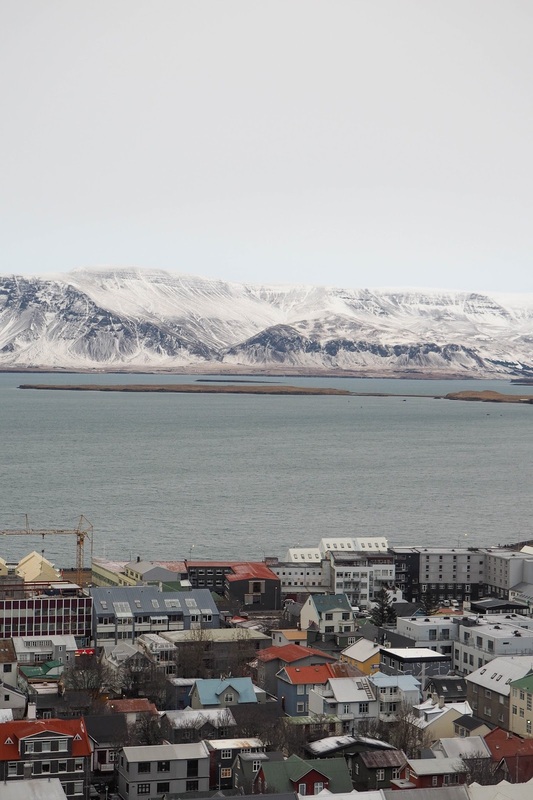 Here I am, sitting at my desk in my office, thinking about how sad I am I'm no longer surrounded by the beautiful, mountainous terrains of Iceland *sobs*. 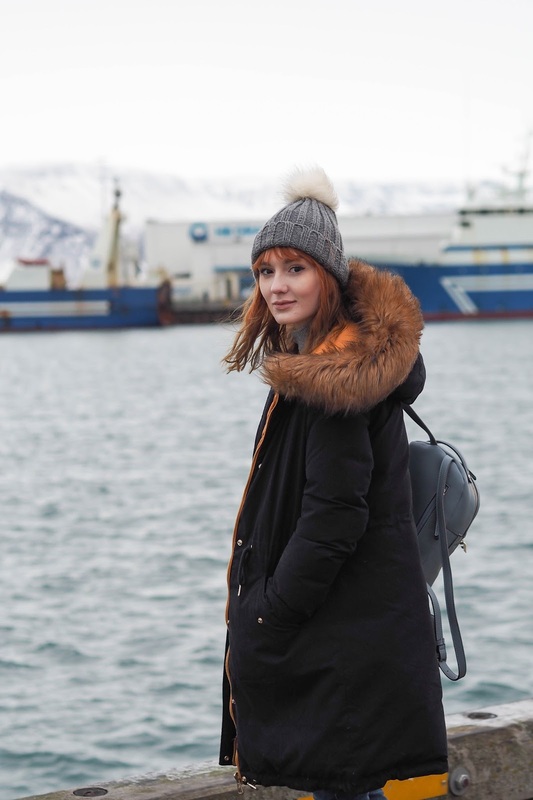 I returned from my 4 night trip to Reykjavik on Friday and I couldn't be more gutted that such a wonderful trip is over (follow my trip on Instagram to see more of what we got up to day by day!) and I can honestly say it's one of my favourite trips yet. 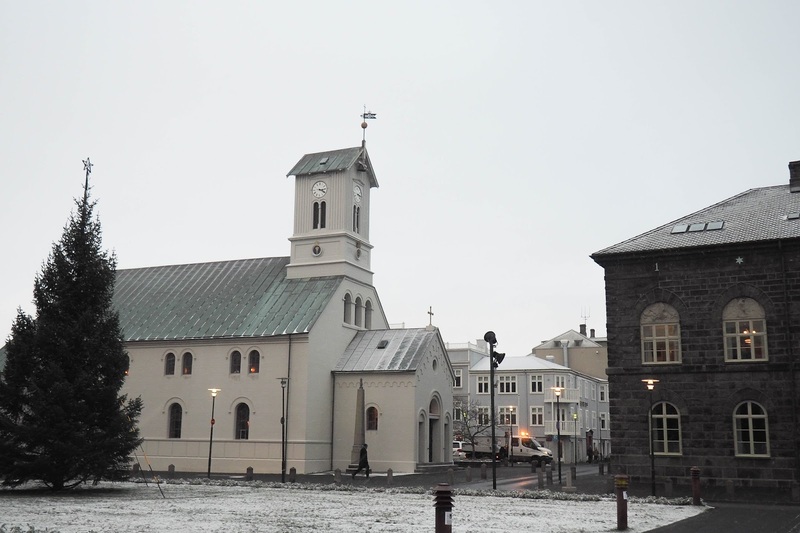 Reykjavik is nothing like any other city I've been to. 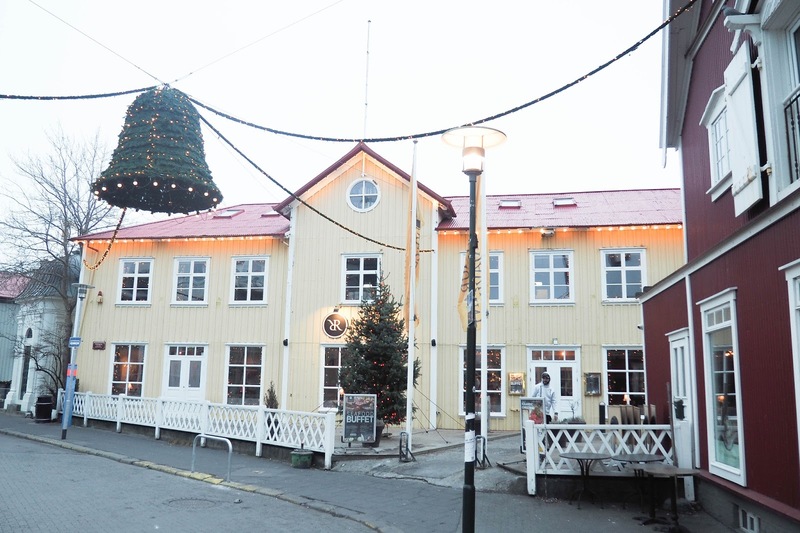 It's smaller and quieter, the streets lined with traditional pubs, restaurants and trinket shops, boats lining the harbour and a charming atmosphere. It may be a small city but it by no means lacks in culture and excitement and the cold, crisp mountain air was a breath of fresh air for me, both literally and figuratively. 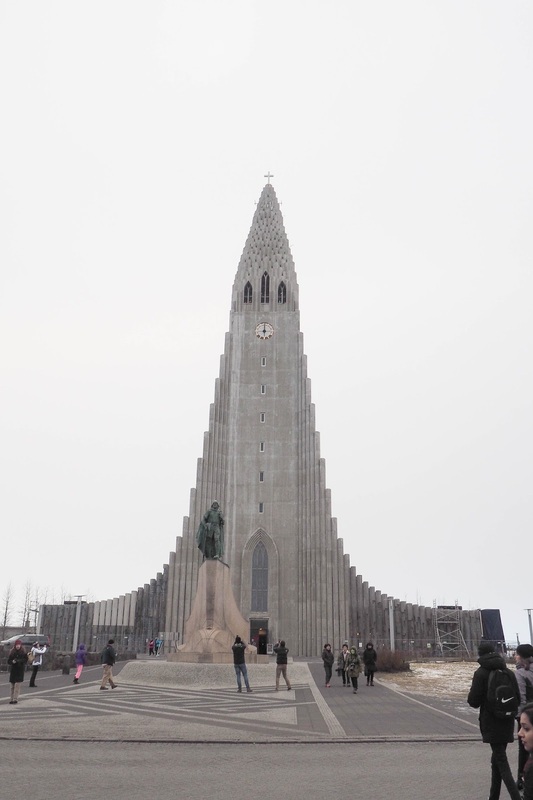 I thought I'd share a few of my favourite photos of the city from my trip, a long with details of where we stayed and what we got up and later this week I'll be doing separate posts on things like where to eat, the Blue Lagoon and the Golden Circle. 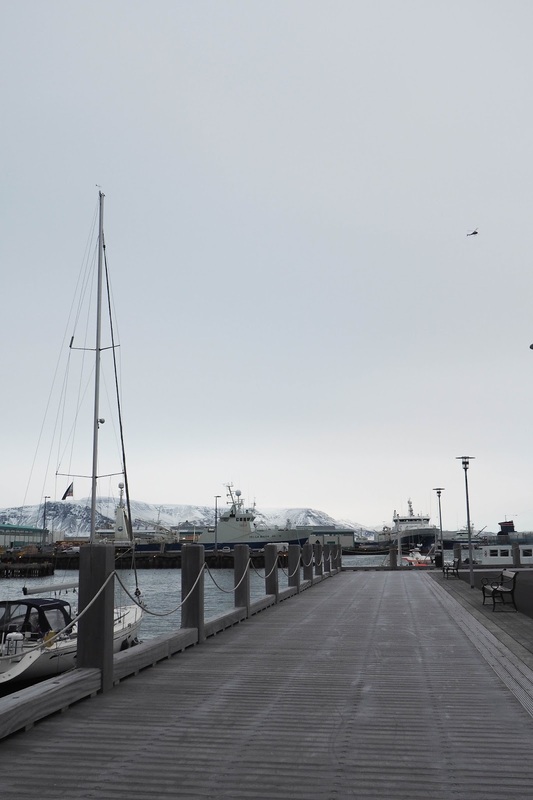 The first photos you see above are by the beautiful Harbour in Reykjavik, a place which literally took my breath away. 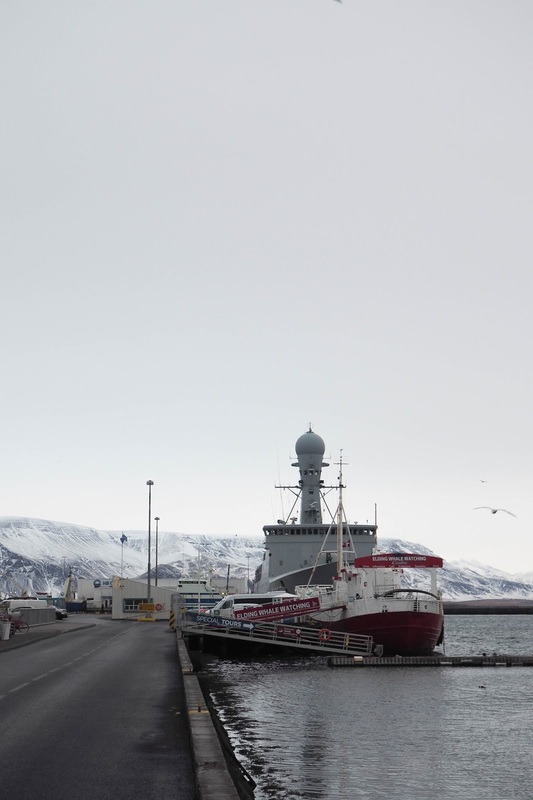 I don't know what I expected but the snowcapped mountains that lined the waters, the fishing boats and vessels nestled in the harbour, the colourful seafood restaurants that surround the area...I can't even describe how beautiful it was as words cannot do this place justice. 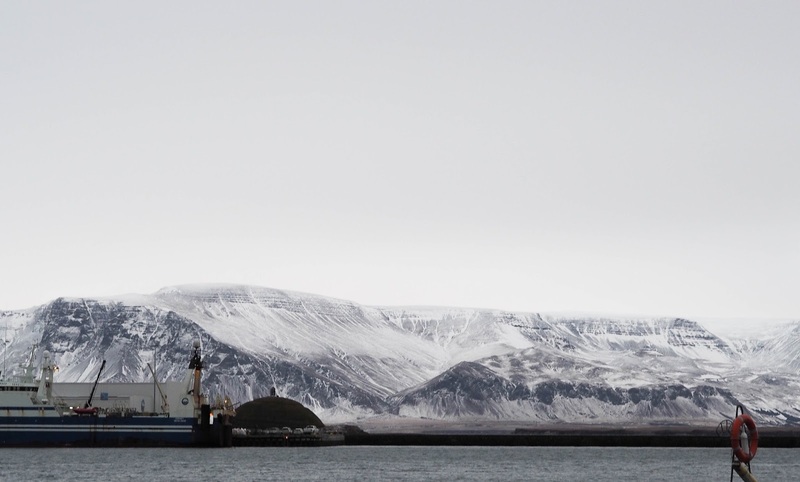 I could have stared at those snowy peaks for hours and hours (if the cold wasn't tearing into my face!) and I just about filled my camera's memory card simply snapping away here. 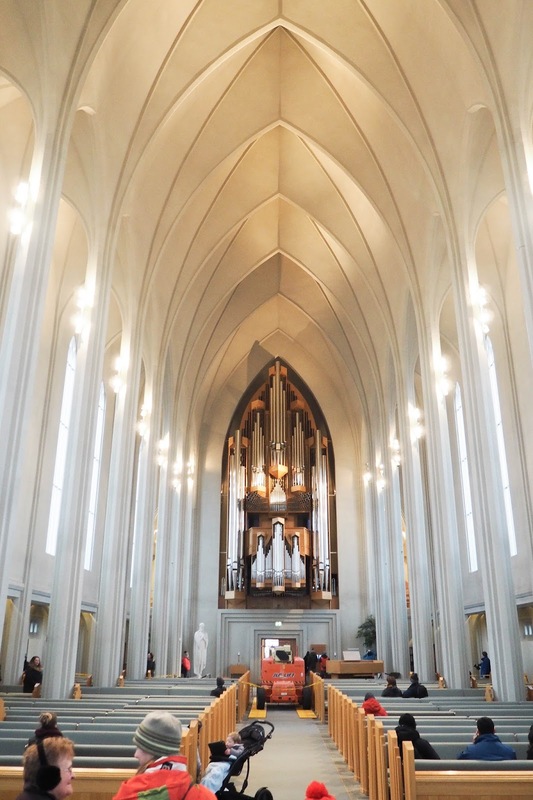 Hallgrimskirkja was next on our list and this was another location in Reykjavik that did not disappoint. Again, what this building lacks in size it makes up for in personality. The design is unlike anything I've set eyes on before with it's ridged edges and pointed clock tower and whilst the main room inside is simple, it is certainly beautiful. 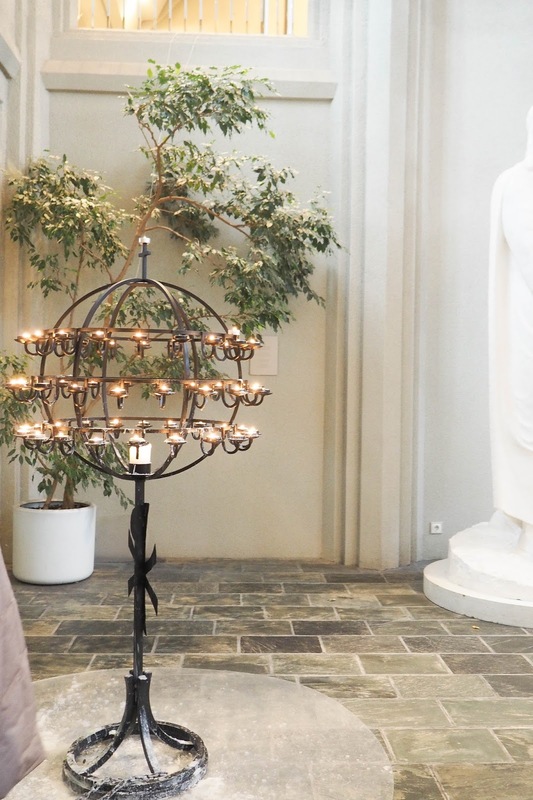 Think high, bright arched ceilings, a huge pipe organ at the very front of the room and the tower that gives these breathtaking views of the city and the mountains. Once again, I could have looked out of those windows for hours drinking in the view and as I'm sure you can tell by the photos, the view is simply magical. 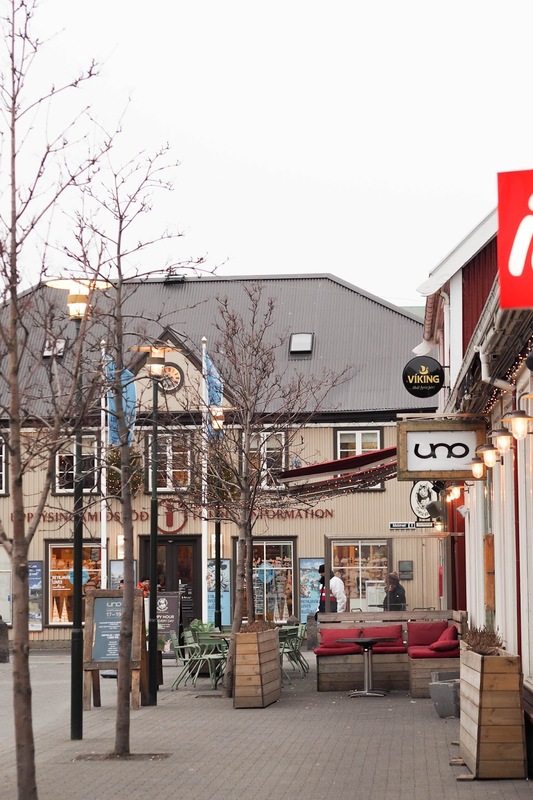 Like I said, the streets of Reykjavik are lined with independent shops, stores, restaurants, cafes, bars and everything else that gives the city it's own personality and vibes. There's amazing street art to take in at every turn, with handmade Christmas decorations hanging in windows, cute little souvenirs and much more. 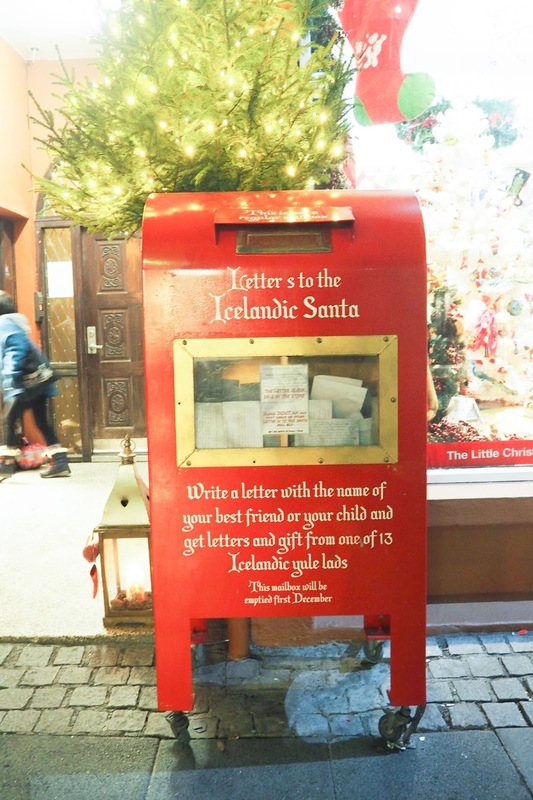 As it was the end of November during our visit, Christmas was in full swing with lights and trees, decorations and even a postbox to send Santa a letter. I'd never been away at Christmas time before so this was a truly magical thing for me and I'll definitely be booking up for another Christmas city break next year! 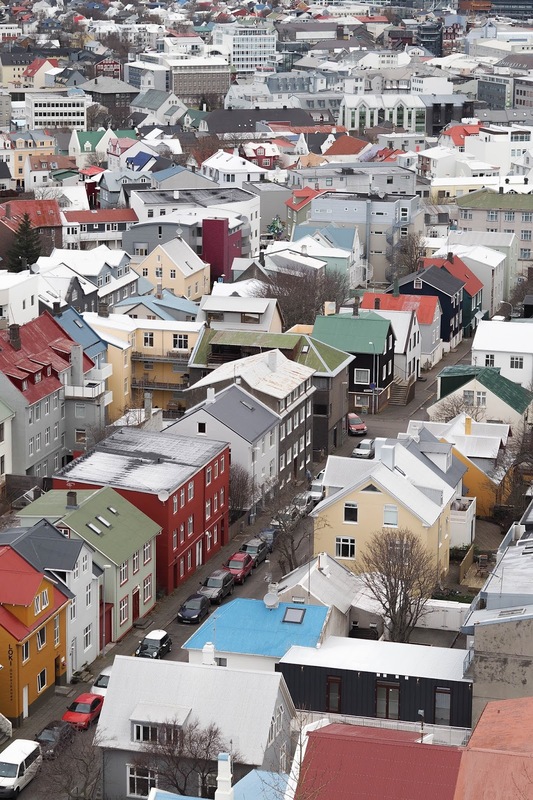 One thing I will say about Reykjavik though is that it is insanely expensive and I mean for everything. It works out the equivalent of about £7 for a pack of 4 bananas (!!!!) and most meals out will set you back a good £30 so for us a few days in the city was enough; it would be way too easy to spend a fortune! We didn't purposely eat in cheaper places and we still managed but oh boy, you could end up doing your bank balance some serious damage! 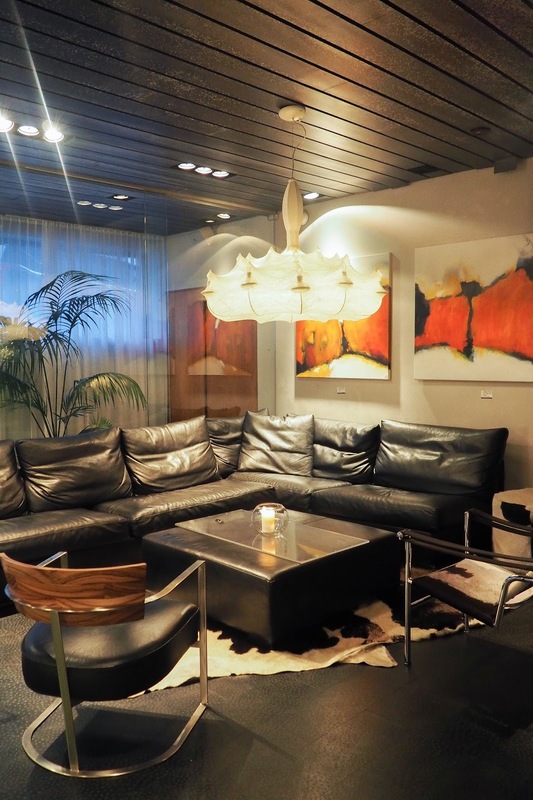 We stayed at CenterHotels Thingholt in the very centre of Reykjavik, about a 10 minute walk from the harbour and I couldn't recommend it enough. We managed to get the hotel and flight as a package deal so didn't pay a lot for four nights at all and our room was amazing. It was clean, comfortable and had everything we needed, including breakfast every morning, TV and a kettle. 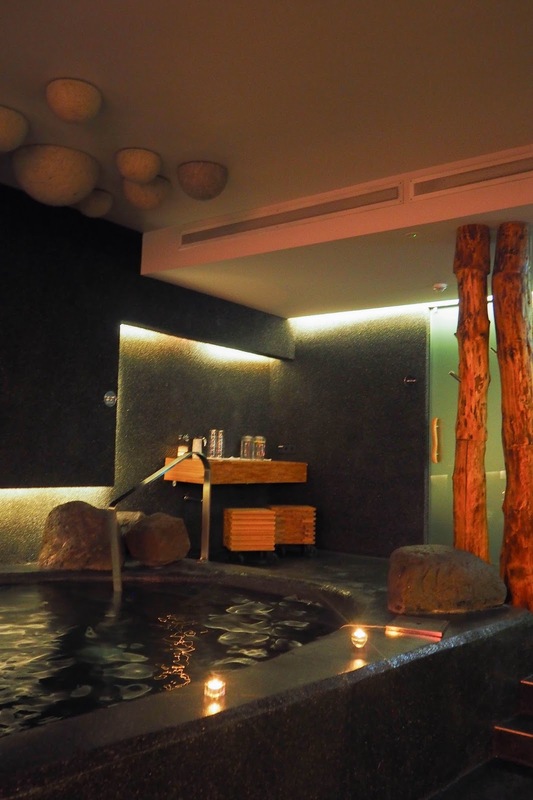 We paid around £23 extra for use of the spa facilities which were brilliant for us to use on a night. There wasn't a lot to do during the evening close to our hotel so we relaxed in the hot tub and the sauna while the now fell outside and cosied up in our robes and slippers. Bliss! Watch out for my posts about food, the Blue Lagoon and the Golden Circle coming this week! Such a wonderful place! I visited last month with some of the gal pals and loved it!